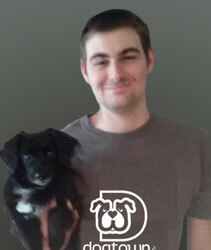 Dogtown – Dog Daycare Services and More! Looking for a place where your pup is treated as family and receives first class care? Look no further! Dogtown Resort is an open play dog daycare, boarding, grooming and training facility. AND once a month, we sponsor an onsite vet and vaccination clinic. We ARE your one-stop shop for all of your dog’s needs! 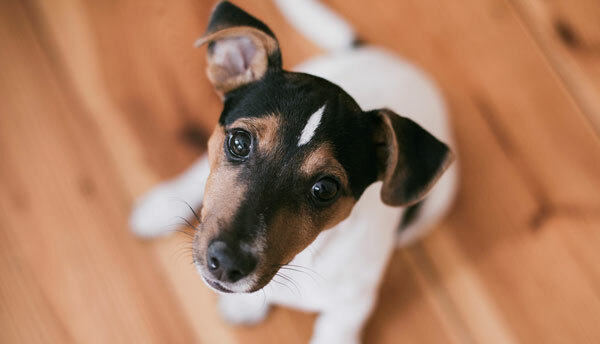 No one likes to leave their dog at home alone, whether you don’t feel comfortable leaving them for the day or you’re going on a trip or vacation. 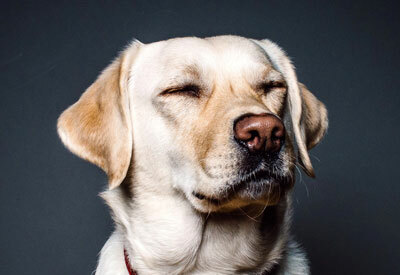 A bored dog can escalate into mischievous and even destructive behaviors for you and your home while you’re gone. 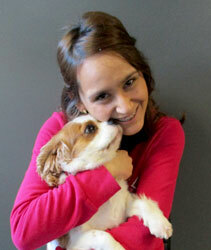 That is why we provide fully-equipped dog daycare, boarding, grooming and dog training services. Your dog will play, get plenty of socialization and exercise in our safe and fully enclosed air-conditioned playrooms, as well as sun themselves outside and splash around in our pools. 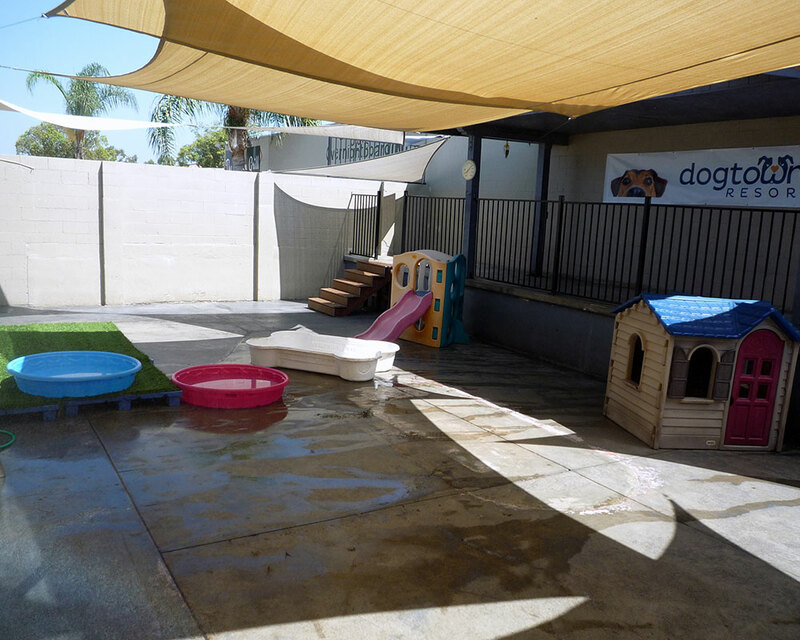 Dogtown daycare ensures safety measures by assigning dogs to a playroom based on their size, temperament and play style. We also provide complete dog grooming and spa services. Maybe your pup is long overdue for a groom or bath. Avoid the mess and stress that bathing your dog at home can cause and bring them to our fully-equipped spa. Take advantage of our full grooming services from specialty breed cuts and styles, nail trims, ear cleanings, teeth brushing, facials and various de-shed options. You can conveniently combine a day of play and beauty, as spa time is part of several of our daycare/boarding packages. If you’re planning to board your dog with us, we recommend that you bring them to our location for a visit before leaving them for a day or the weekend, so they can acclimate to our facilities and our team. Stop by or contact us to schedule an evaluation and tour, as we would love the opportunity to get to know you and your dog and show you both everything we have to offer! On Evaluation day, it is very important to bring your dog(s) on a leash or slip lead with a collar/harness when you enter the lobby. The Evaluation includes a socialization and behavior assessment with your dog that takes 20-30 minutes with our trained evaluator. During this time, we will also show you around, address your questions and you can even watch the playroom cameras. Because dogs are a really big deal to us, we feel the Evaluation at Dogtown is fun for the whole family. Consider it an introduction to our open-play environment perfectly suited for your pup’s fitness and social life. In fact, don’t be surprised if your furry child meets his or her BFF while you’re here. The process is very easy and there is nothing to be nervous about at Dogtown – we just want to get to know your pup better! Get an evaluation and Dogtown tour today! 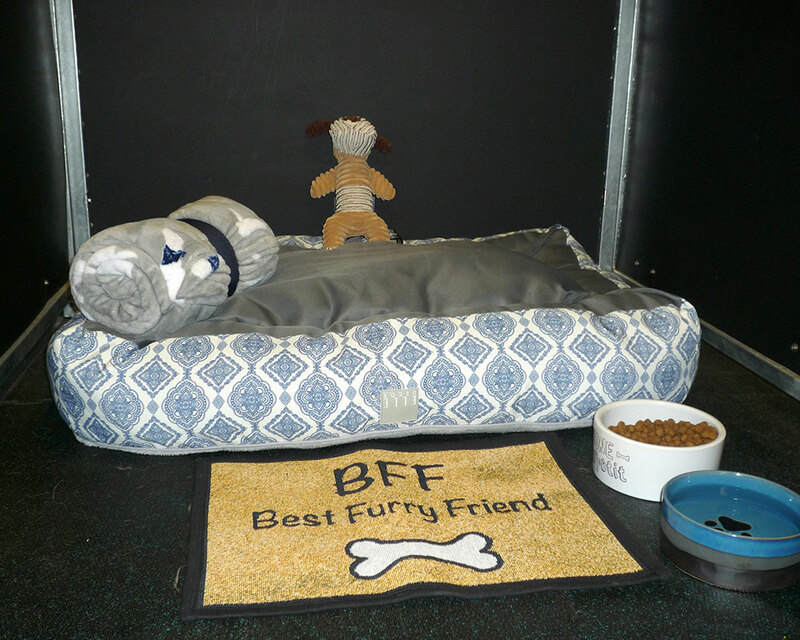 We designed our facilities with your dog’s safety and comfort as our major priorities. Our indoor playrooms are air conditioned, climate controlled and contain HEPA filters to help minimize germs. They also have compressed rubber flooring (like the ones in gyms) that are easy on their foot pads, hips and joints. It also provides a cushioned walking surface, something that is beneficial for dogs suffering hip dysplasia, arthritis and other bone and joint conditions. Our team consists of two vet techs, trainers and our playrooms are managed by our certified Pack Leaders to ensure your dog’s safety. 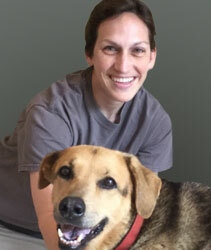 Pack Leaders are dog care professionals that are trained in pet first aid and CPR. Dogtown Pack Leaders go through rigorous training in dog behavior, breed tendencies, and acceptable play styles, so they know the language of dogs and how to safely supervise a play room while ensuring your pup’s comfort. Safety is our number one priority, because dogs have to be safe before they can have fun. We also have high-def webcams so pet parents can view their pups throughout the day. Our webcams may be accessed from your PC or smartphone but are turned off during nap time and sleepovers. Our webcams are quite addictive because you can watch your dog play, exercise, splash, swim and having fun making new friends. John and Rhondi Webster along with Emily Adams are the partners of Dogtown Resort in San Marcos, CA. They have a strong passion for animals and are involved in local animal rescues, Shelter to Soldier, Paws with a Cause and the Ridgebacks and Friends Rescue. After searching for a business that was focused around the love and care of animals, especially dogs, they took their core values of community and service to build Dogtown Resort. Two seasoned business veterans, John and Rhondi have more than 25 years of experience in the retail, corporate franchise and government industries. They have a vast amount of management experience with several well-known brands including Jamba Juice, Starbucks and Jenny Craig. Rhondi has held executive corporate positions at Nestlé Nutrition, Jamba Juice and Unilever in key management, research and development, product development and marketing roles. She has Master’s degrees in Food Science and Human Nutrition, along with an Executive MBA from the University of California at Irvine. 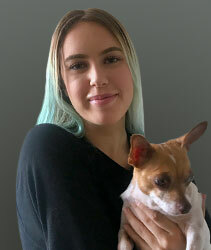 She has successfully developed and launched over 200 products in the food, pet and biotech industries including various dog and animal products, as well as being involved in a successful animal nutritional supplements start-up company. 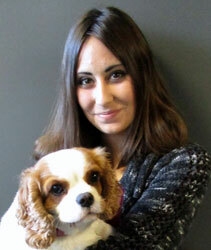 At Dogtown Resort, she is responsible for marketing and new business development. John has a finance degree and Master’s in Organizational Leadership and is a retired Navy Information Systems Master Chief with over 20 years of service. He is responsible for store operations and employee leadership training. John is also overseeing real estate site selection for the future Dogtown Resort locations he and Rhondi plan to open in the San Diego area. 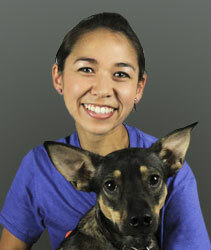 As Director of Operations, Emily loves her job at Dogtown Resort. She is responsible for safety, quality and consistencies of our operational standards, SOP’s and our training programs. 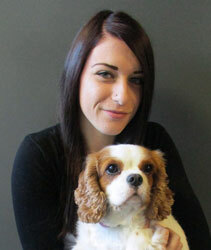 Emily oversees the exceptional care of our furry clients and ensures 100% satisfaction from their pet parents. 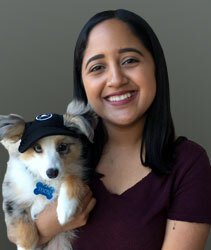 She enjoys the rewards of happy pups and happy team members. 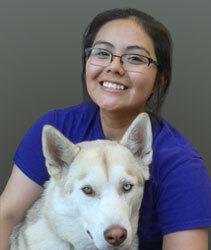 She has gained experience working with dogs as a Veterinary Technician and now loves learning more and more about dog behavior. In her off time, Emily loves to travel, rock climb, scuba dive, and spend time with family and friends. Let’s meet the rest of the Dogtown team . . .
“Love what you do and you’ll never work a day in your life.” This old saying rings true for our Pack Leaders and it could for you too. At Dogtown, we have a love for caring for dogs and this is our strength. Our certified, trusted and dedicated team members is what sets us apart from the pack. Are you interested in joining the Dogtown family? If you’d like to explore a career that involves providing exceptional care for dogs, we are always looking for energetic team members! Subscribe to our mail list for updates on news, events, and specials!